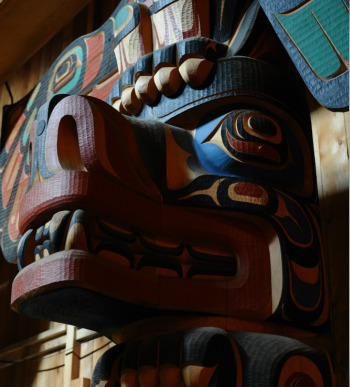 Year-round we work with 5 different First Nation communities located on the west coast of British Columbia. All five communities are remote, unreachable by paved roads and therefor removed from traditional churches and ministries. LOCATION: Zeballos Inlet on the northwest coast of Vancouver Island. The community of Ehattesaht is located across the creek from Zeballos. LOCATION: Gwa'Yi village at the mouth of the Kingcome River, 2 miles from the mouth of Kingcome Inlet in the Queen Charlotte Straight. ACCESS: By water taxi from Port McNeill to the mouth of the river, then by small boat to the village. FIRST NATION PEOPLE: Dzawada'enuxw First Nation, a member of the Musgamagw Tsawataineuk Tribal Council. FIRST NATION PEOPLE: Kyuquot/Cheklesahht First Nation, a member of the Nuu-chah-nulth Tribal Council.